Another fun laser cut project. I made these magnets to sell at craft shows and they went really well. Can also be a nice gift for family, friends or clients. For a business you could put your customers name on the sides of the freight cars. I did these in two styles, one was plain wood with lots of neat details and the other was done in a block style with primary colors. the painted set was sanded a bit to give them a worn appearance. 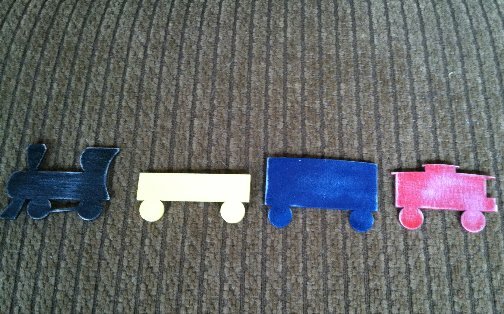 For the plain wood set I added the oil tanker just to try doing the rounded edges and stuff. Again, 1/8″ birch plywood on an Epilog laser. 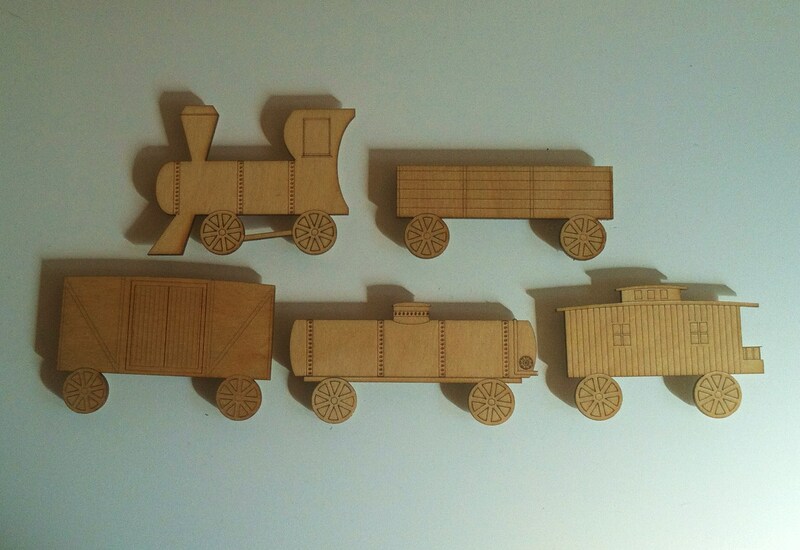 This entry was posted in Crafts and tagged Epilog, Laser Engraver, Magnet, Refrigerator Magnet, Toy Train, Train. Bookmark the permalink.